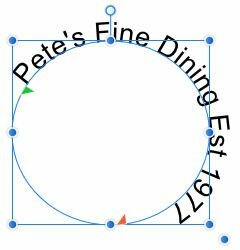 If you select the circle (ellipse) you're using for your text on a path, convert it to curves (Shift Enter on the keyboard) or 'Convert to Curves' from the context menu along the top of the screen. Then select the left and right 'node' of the circle using the 'Node' tool. Break the curve so you now have two semi-circles. 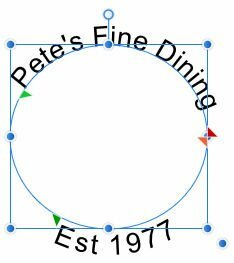 Add 'Pete's Fine Dining' to the top curve and 'est 1977' to the bottom curve using the 'Artistic Text Tool', centre the text on both by selecting 'text centre' and drag the green triangle left or right as apporpriate so the text is centred on both paths. Once you have typed the top text, press "Enter" and enter the bottom text. Then set the base line of the bottom text to match the top text. It' simply a matter of typing it one one line and then adjusting the orange or green handles. 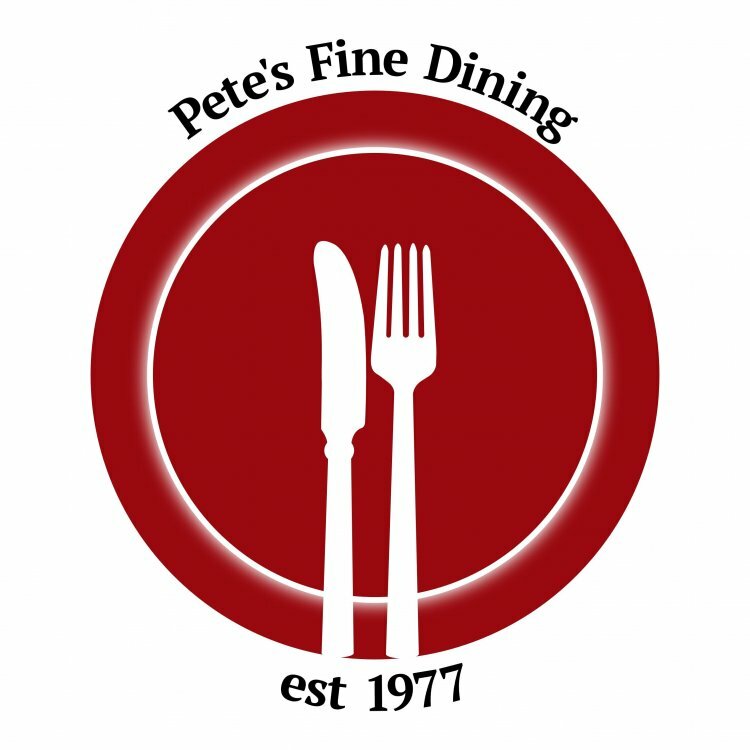 You can use baseline shift to move the text below the line. 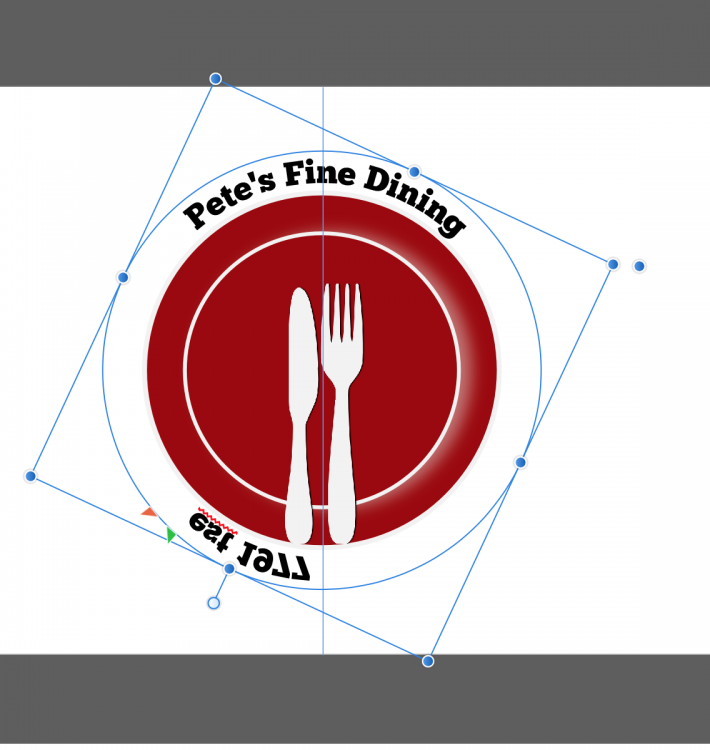 When you click to add the text to a circle with the Artistic Text tool, the place where you click is important. 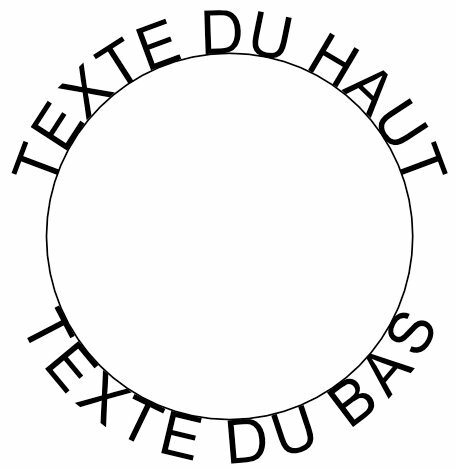 If you click outside the circle, the text will flow around the outside in a clockwise direction. If you click inside the circle, the text will flow around the inside in an anticlockwise direction. Pressing the "Reverse Text Path" button - to the right of the Baseline setting on the context toolbar - will switch between the two. You can then change the Baseline, as mentioned, to move the text to the "other side" of the circle if necessary. In @duff12345's original post, the object - including the text - has been flipped which is why the text looks backwards; essentially you're reading the text in a mirror. 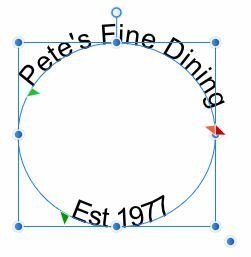 You shouldn't need to convert anything to curves, just click in the right place for the direction you want then change the baseline if necessary.